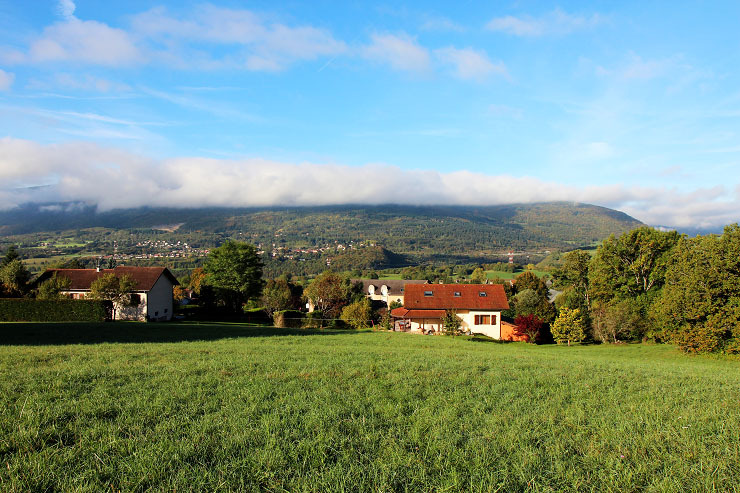 Welcome to Jura – Comte, my favourite cheese! Yeah~ here I am again in France! It’s a nice change from the chaos, the noise, the grey walls in the city. It’s green all around and I feel blessed. I will share more photos of this fantastic house situated on the hill that leads to the Jura mountains. Where I am staying is close to Geneva so I flew into the Geneva airport two days ago and got picked up by my friend and came here, which means I was in two countries in one day. It’s really interesting. If you know the geography of France by cheese, I am in the region of some famous cheeses, the best of which is Comte, but there are also Bleu de Gex (Bleu de Haut Jura or Bleu de Septmoncel), Tomme de Savoie, Beaumont, etc., you name it. On the night of my arrival, I was welcomed by the local sparkling wine, Cerdon, made with Gamay followed by a gorgeous dinner of Roasted Duck Legs and Endives in White wine, which was followed again by the highlight of the cheese board. I don’t know how he could create such a feast in a flash and with such an ease. Well, actually I wasn’t that surprised since I knew him living together as flatmates in Australia and remembered how good a cook he was. We have wonderful memories of cooking, eating, drinking together, plus the best and luxurious camping. 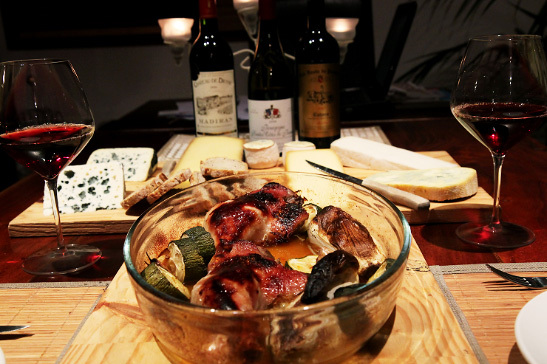 I love this kind of rustic French food, just everything in whole thrown into a pot with wine. 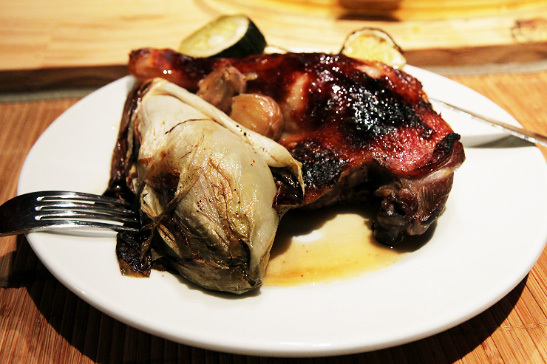 What is interesting is how the French cook whole endives. I’ve had quite a lot of endives in France, which are usually a minimal addition to a salad in most countries and are often expensive outside France. Cooked endives with Roquefort I had once was good. The dish had no other seasonings, not even salt and pepper, except a little chili flakes from Basque, Piment d’Espelette, called in French. Even while eating, I didn’t have to add salt to my food, which was amazing, and it was all because of the freshness and the delicious flavours from the duck fat, roasted whole garlic and wine. The duck was just perfect, with crispy skin. 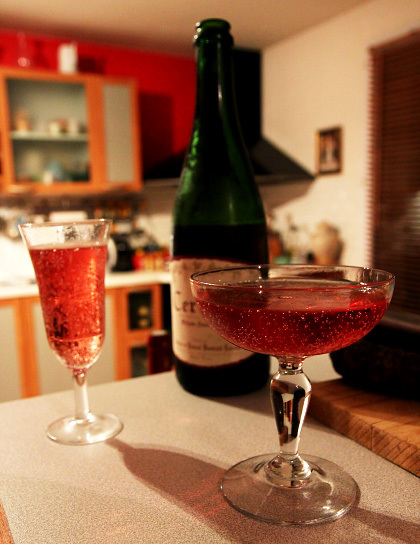 We opened three bottles, – yes, I must be in France. – each one for each meal. 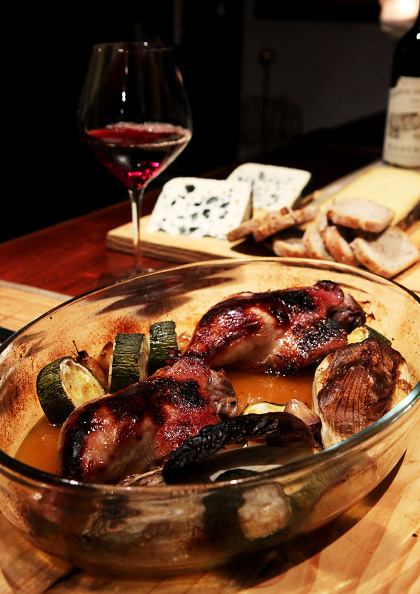 For the duck, we had a light Burgundy red with good acidity and fruitiness to counterbalance the fattiness. Time for cheeeeese~! As he knew that I loved cheese, he spread all the cheese on a large board, including St.Argur, which I was in love with when I first met him in Sydney. Well, back then I was a newbie to French cheese, so I’ve moved on to a better cheese, Roquefort. He and I have several things in common, cheese, healthy cooking, essential oils and nature, and especially the zero resistance to cheese made us watch out for one another so that we wouldn’t finish the whole cheese in one night. 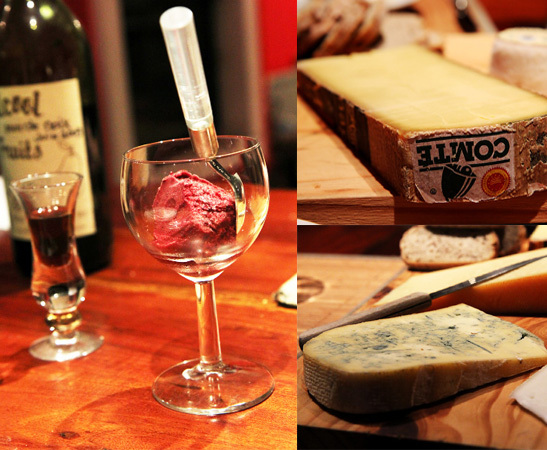 I tried Tomme de Chevre and Bleu de Gex, whose taste he described as licking a cow’s buttom, hmm…. well, he was right in some ways. Nothing can beat the fruity and nutty taste of Comte. Since I’m here, I will definitely visit some caves of Comte as well as wineries for Jura wines, vin jaune, vin de paille and such. 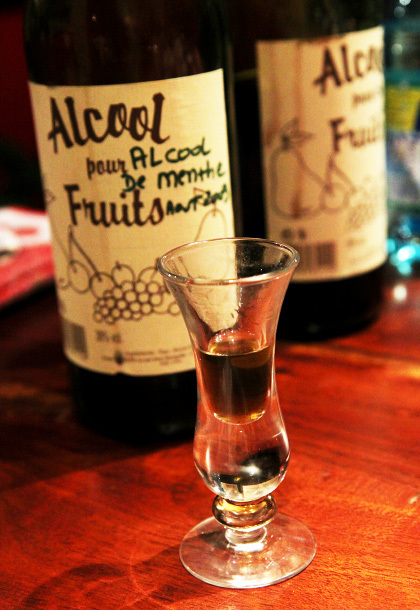 At last, he presented me with his home-made wines, green walnut wine and mint wine, which were delicious, and especially the green walnut wine was very unique. Well, it’s just a beginning of my French wine and food holiday and I’ve eaten and drunk almost the amount one would get through for three days. I thought today I’d stop eating and feed people’s curiosity before heading off to visit caves. Yes, that was a big piece, but guess what? I can gnaw on it like a mouse in no time and before it’s gone, I want another block! It is beautiful all around in colours. I love it! I hope to be able to visit France one day. 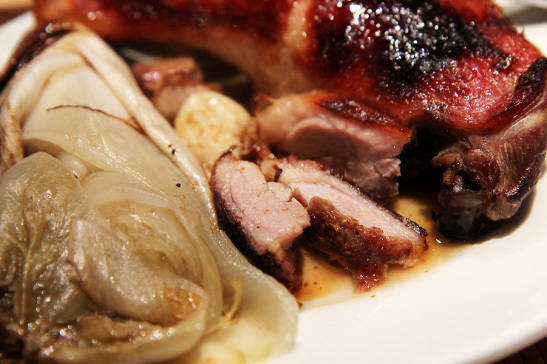 That roasted duck dish looks spectacular! Would you be able to share the recipe? Comte is one of my all time favorite cheeses! Enjoy your holiday!